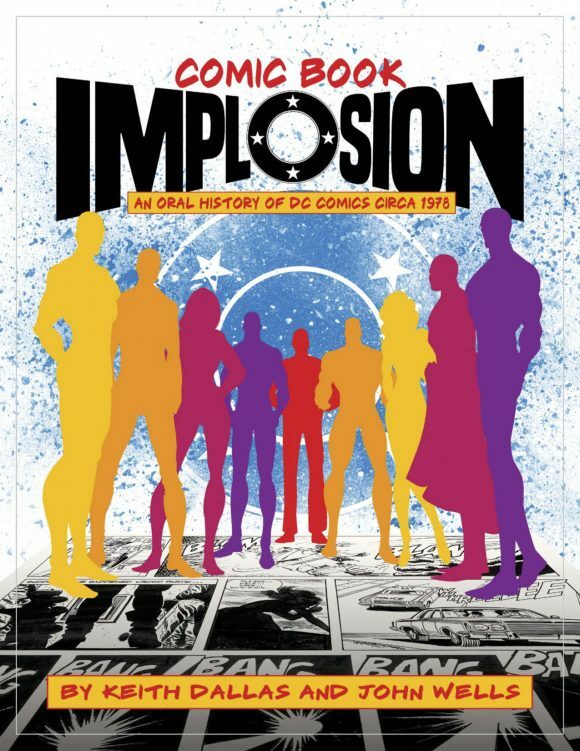 TwoMorrows’ next history book, Comic Book Implosion, by Keith Dallas and John Wells, is an oral history of DC Comics in the late ’70s – a turning point in the publisher’s history. 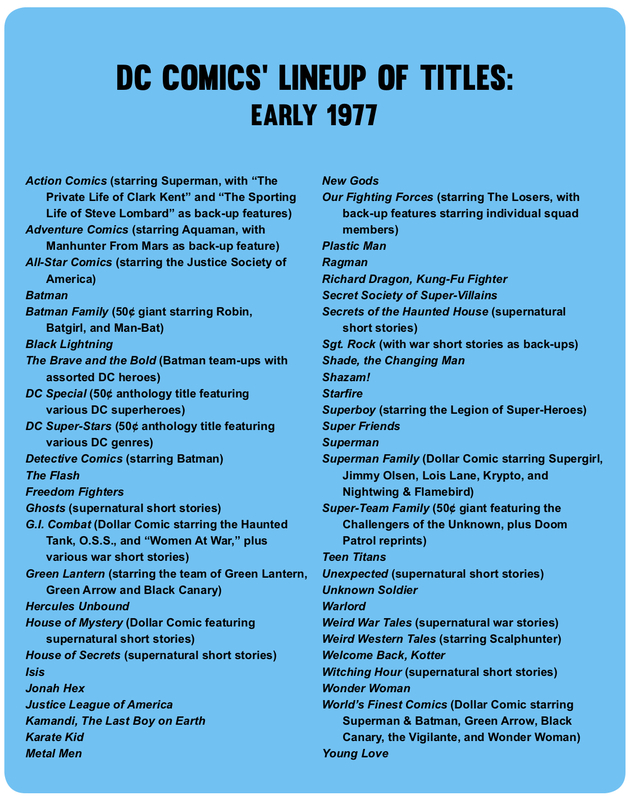 After years of chasing Marvel, DC brought in Jenette Kahn as publisher with an eye toward rejuvenating the line, but forces both external and internal created a perfect storm that led to the infamous DC Implosion – the mass cancellation of titles that was deemed necessary to keep the company afloat. Over three weekends, we’re serializing portions of the book with segments that detail specific developments before, during and after the Implosion. DC house ad. Primary art by Jim Aparo. I think that DC has always owned the younger market, Marvel the older market, and Gold Key the younger still. As soon as you graduate into superheroes, you graduate into DC. Unfortunately, we didn’t have an upper area in which to move after you graduated from our younger comics—you had to graduate into Marvel. I think there’s a way to put out comics which find their own level, reach their own market, all under the same company’s roof. And, of course, there’s a certain amount of parental influence in the buying of comics. A kid is in the supermarket with his mother buying things and he decides he wants a comic. She won’t buy him one that looks violent, gory and horrid, but if it says ‘DC TV’ and she recognizes Isis, which her kid has been watching on Saturday morning TV, or Shazam!, Welcome Back, Kotter, or Super Friends, it looks all nice and familiar so she’s quite happy about buying those comics. Beginning in December, four titles, The Superman Family, House of Mystery, World’s Finest and G.I. Combat, will cost $1.00, and will be 80-page giants. Before mathematicians start figuring out comparative costs with former 80-pagers, we will mention that these books will contain 66 pages of new material—roughly four times the material contained in a 30¢ book. What these books will resemble for the most part are Golden Age titles, i.e., they will return the multi-character book to the stands. The [current] package is absolutely untenable; 17 pages, and reprints, and a 30¢ cover price. There’s no place to go really. 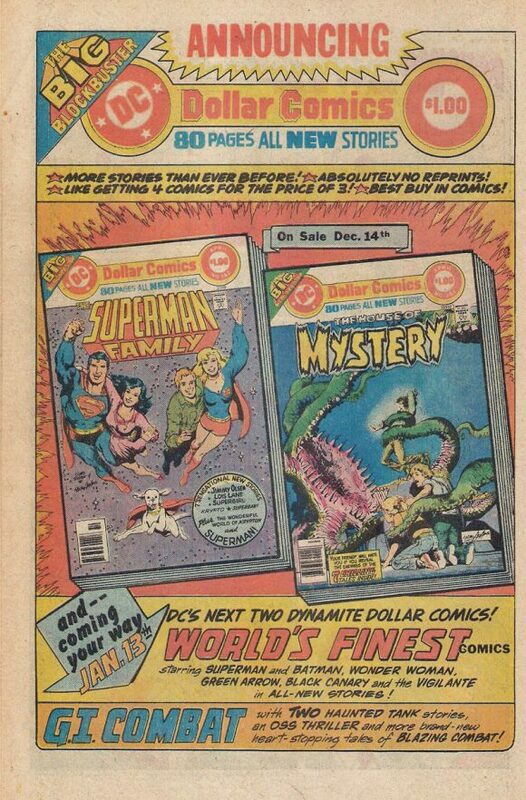 And yet there was a time when you paid 10¢ for a comic book and 10¢ for Time magazine. The trouble was that we didn’t keep up with the rest of the industry in price rises. Twenty years passed before we dared to make the great leap to… 12¢. Then we tried 15¢… then 20¢, 25¢, and now 30¢. But, still all that is too low. Time magazine is now $1.00, we should be $1.00, and that’s where we’re headed. It’s a major experiment but I think it’s the answer not just for us but for Marvel, Archie, any comic-book company. The dollar package is just like the Golden Age format in that we will be having 80 pages, 14 of ads and 66 of all-new material. 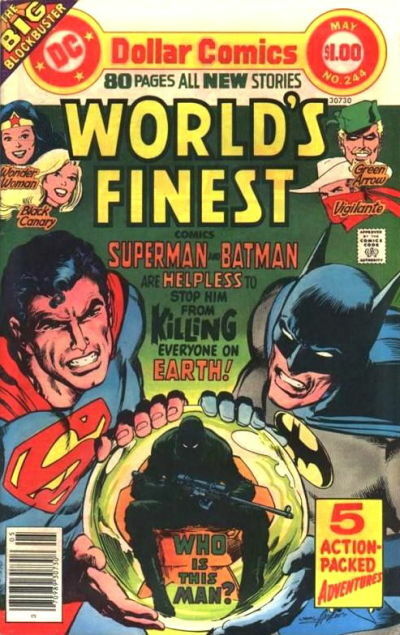 The first World’s Finest Dollar Comic. Art by Neal Adams. Now a retailer can make more from selling a dollar comic book than he can from selling Time or Newsweek, because 50% off a dollar from us is more than 40% off a dollar from them. So there’s something in it for him now, there’s something in it for the wholesaler. There’s certainly something in it for us because our economics are better. There is something in it for the writers and artists because they have more flexibility, more latitude—and they can make money too. Then there’s our reader. They are getting more editorial pages for their dollar than if they bought three and a third 30¢ comic books. They will be getting more, better material because we’re paying more for our covers, getting people like Neal Adams, Bernie Wrightson and Curt Swan to draw them. We’ve designed the first dollar books to be anthology titles so that the reader doesn’t feel like he’s tying up all his money in one character. In World’s Finest, for instance, there’ll still be Superman and Batman, but also Green Arrow, Black Canary, Wonder Woman, etc. More characters for his money. I hope this will make retailers carry comics who haven’t carried them before, and hopefully change the industry. 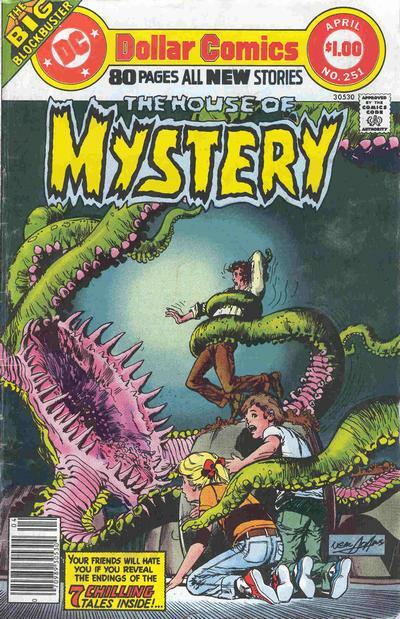 The first House of Mystery Dollar Comic. Art by Neal Adams. Very soon you’ll be paying 50¢ for a 17-page story. If, indeed, it’s even possible to do that five years from now. 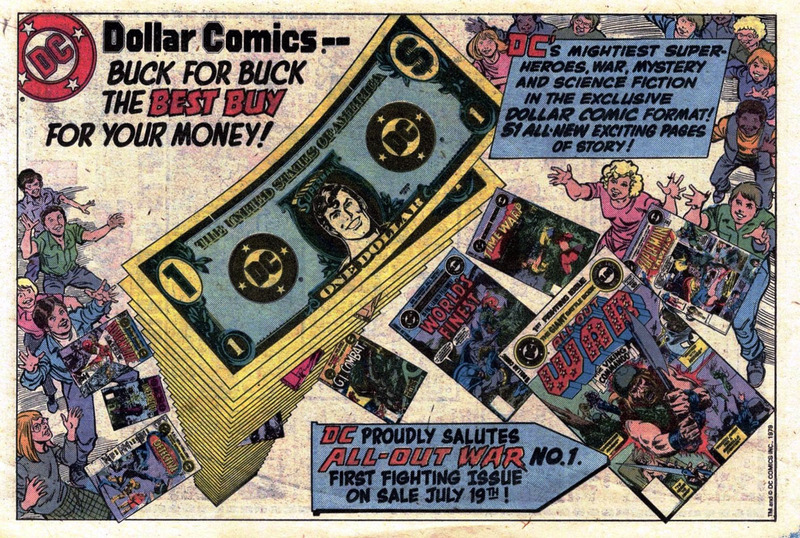 If [Dollar Comics] don’t succeed, comic books have a serious long-term problem. So we’ve gotta keep trying. We can afford to try where Marvel can’t, because we’re part of a massive conglomerate that believes in thinking about things on a long-term basis and not worrying about the money that’s in their pocket today. Warner doesn’t have to worry. (Marvel owner) Cadence is a very small company, and it has very little money to play around with. They can’t afford the same courage, I suspect. We’re going to use our courage, we’re going to go out there. We think it’s a good idea. We think, in our own private thoughts, that it’s pretty much the salvation of the business. Creatively speaking, it’s the opportunity to do things which you can’t do in today’s comics. Financially speaking, for the reader, I don’t think it’s a rip-off. Because you’re getting a comic—you’re paying a lot of money for it—but you’re getting something for it. I don’t think that’s really true of a 17-pager. The reason why the dollar books are doing so well and why we’re so optimistic about them is that they’re more profitable books for the retailer to have. So that a guy who doesn’t handle 35¢, or even 60¢ comics—a guy who is in an airport or shopping center—these types of places by and large do not handle comic books because the 6¢ to 8¢ they make off a 35¢ comic book is not worth the hassle, but on a dollar book they’re making good money. They’re making more than on a dollar copy of Time magazine as a matter of fact. The way we have it set up, the books will be on the stands for two months; that’s the promise we made to these people. I don’t think we’ll change it until we have a full line of dollar books, rather than just the three we have scheduled at the moment. It’s such a beautiful system we have now there’s no reason to jeopardize it. 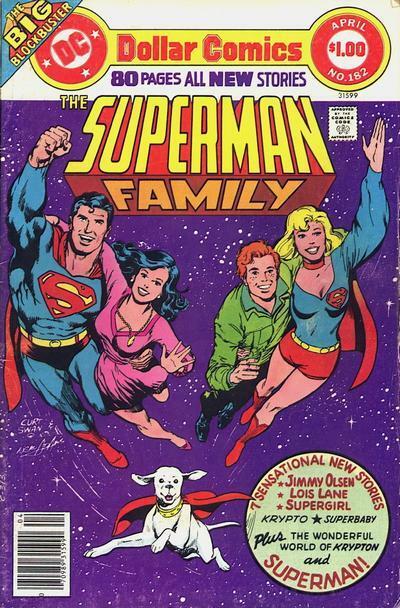 The first Superman Family Dollar Comic. Art by Curt Swan and Neal Adams. The first Superman Family dollar book: I know the fans didn’t like it and I’m not going to apologize for that—the younger readers really did like it. That book was probably the most profitable, in terms of bucks, comic book to be published in maybe five years by anybody. It sold phenomenally well. [Since then, it has been] selling about 140,000 [copies per issue]. That’s a real rough estimate off the top of my head. But, every point above break even on a dollar book is three times more profitable than a point on a 35¢ comic—and the book came in about 12 points above break even. That’s phenomenal—that’s terrific! 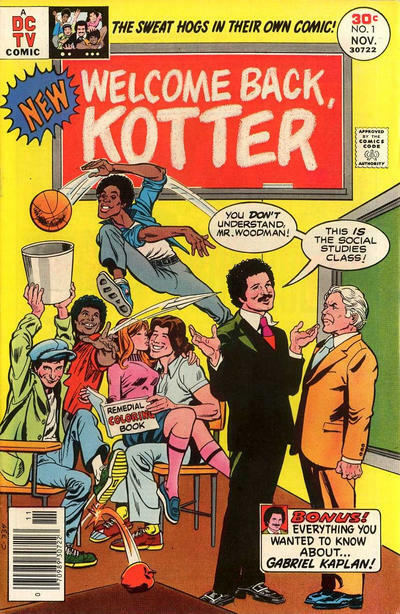 According to Mike Gold, [Dollar Comics] seem to have a somewhat cumulative effect, not necessarily selling more on the regular newsstand, but selling in more non-newsstands. The average increase in sales after five issues has been about 200% in these grocery stores, mini-marts, etc. Sales on G.I. 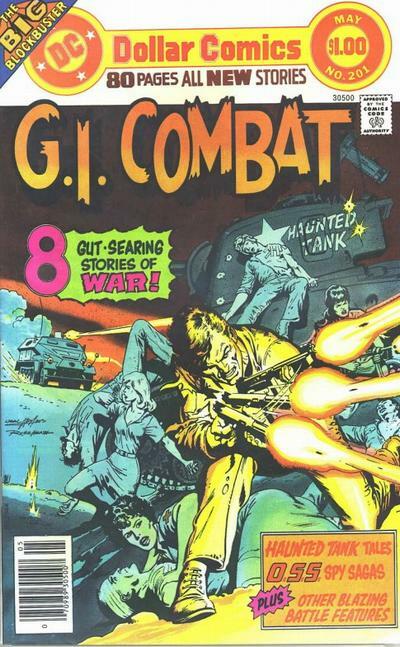 Combat alone have skyrocketed 320%, partly due to this increased marketing platform and partly due to Joe Kubert’s strikingly effective covers. The first G.I. Combat Dollar Comic. Art by Neal Adams and Russ Heath. I don’t really believe in reprint books unless you have a very good reason for reprinting a particular story. Reprints have no justification except that you want them to pad out a comic. Now, there are some classic stories that truly deserve to see the light of day again, for example, the Rā’s al Ghūl four-part story from Batman. It’s a wonderful story that we’ll be reprinting complete very soon. So that’s a good reprint, but reprinting for the sake of money is a terrible idea. — THE DC IMPLOSION: When the Ax Fell. Click here. 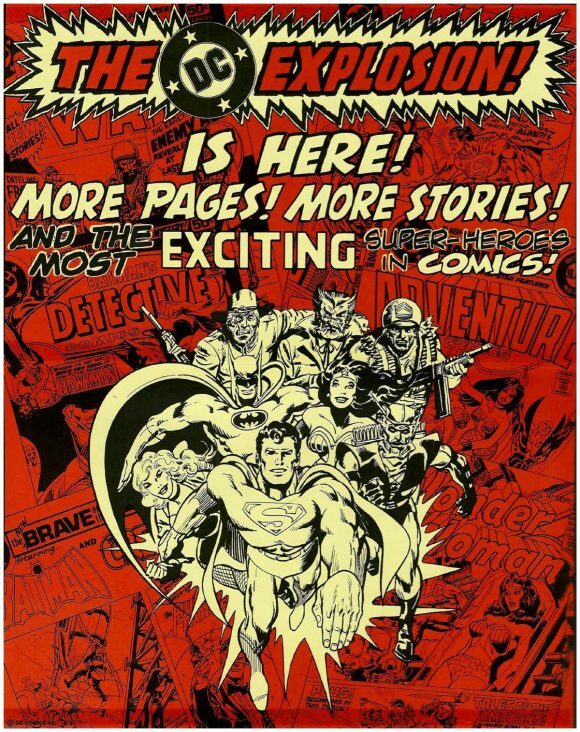 — AFTER THE IMPLOSION: Cancelled Comic Cavalcade. Click here.